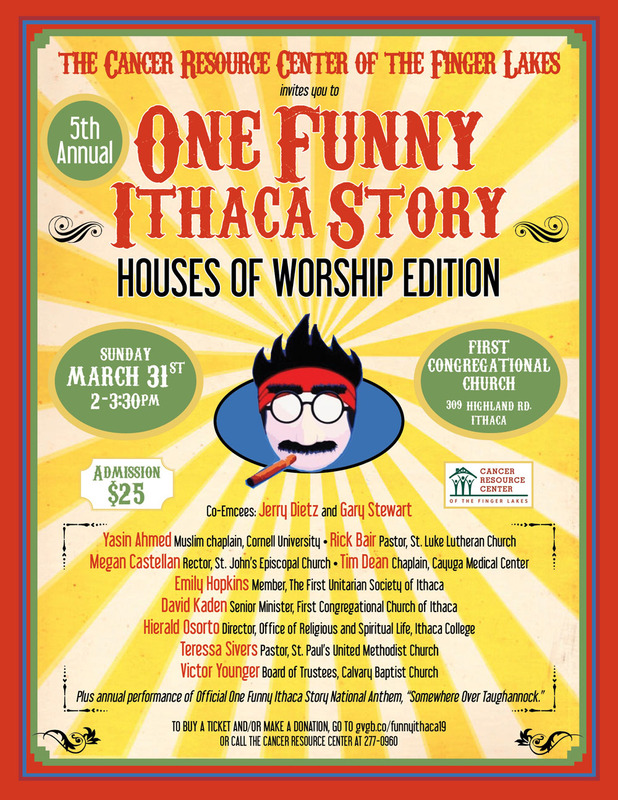 Cancer Resource Center: One Funny Ithaca Story "Houses of Worship"
ONLINE TICKET PURCHASING IS NOW CLOSED! Thousands of area residents have connections with a local house of worship, and appreciate the important leadership and missions that are part of daily life. This work often includes support for local cancer patients and their families. Yet within the serious, reflective ambiance that can be associated with every religion are moments when humor is part of the mix. either intentionally or otherwise. 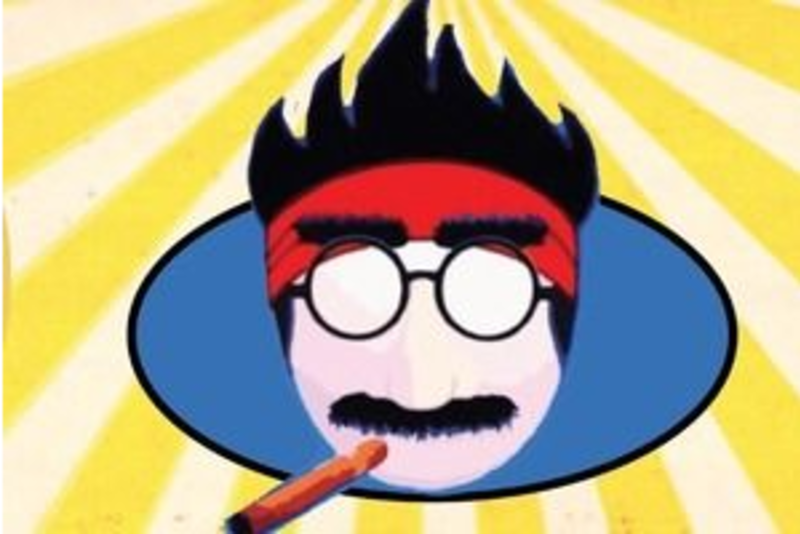 This years’ One Funny Ithaca Story to benefit the Cancer Resource Center will be led by local clergy who often see the lighter side of life within their daily work. The Cancer Resource Center appreciates the role of area clergy for many of our clients and their families, who seek perspective, hope and courage during challenging times. Now it’s time for some stand-up, courtesy of these stand-tall women and men. Please join, like, invite & share our Facebook event page, and help us spread the word! Bill Heffner & John Vandenberg performing "The Sexton"
Here is an interview on WHCU with these two wild & crazy guys!